Recording a call is said to be one of the most reliable means of capturing a conversation though not very convenient. 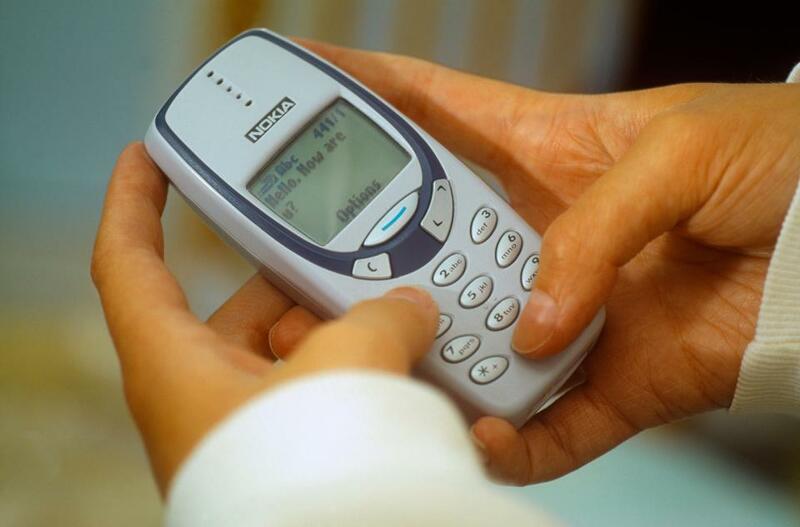 It needs an external gadget which can be linked to a digital recorder to the base and handset of a desk phone. With the entry of smartphones, this has turned out to be quite easy in most areas; though a disappointment since none of the leading mobile operating systems have included a built-in call recorder. This could be due to some countries or states having a law against recording call without the consent of all parties in the conversation. However in the present scenario, smartphone apps together with cloud services tend to make recording conversations easy and convenient irrespective of chatting with White House officials or not. Anthony Scaramucci, as Communications Director of White was out after ten days owing to an open late-night phone conversation with New Yorker writer, Ryan Lizza. Similar to most of the journalists, Lizza had recorded his call not for successors but for proof and with audio evidence it tends to get difficult to debate on that issue. iPhone or Android devices do not come with a built-in call recorder though their respective app stores come with a variety of options for downloading. This seems to be a favourite with the journalists since the app is made available on iOS as well as Android at $10, which makes recording easy as setting up a three-way call. You could dial the TapeACall line and dial the person you would prefer to talk to and merge the two calls in a conference. The recordings are saved within the app and one can share them through Dropbox, Google Drive or Evernote. It tends to put out a free version too though one can access only the first 60 seconds of the recording. If one intends talking for over a minute, it is worth indulging for the Pro version. As the app tends to utilise a three-way calling in order to record the conversation, one would need to have a service plan which can sustain three-way calls. There are also several other apps which enables you to record for free such as Another Call Recorder for Android. Google Voice also tends to provide free recording but the procedure tends to be a bit fussy One needs to first enable call recording on the account of Google Voice and then can record when calls comes in to your Google Voice number. The service also tends to announce when the recording has started. When one hangs up, Google tends to save the recording right into your inbox. Recording calls is said to be a privacy violation though there could be several useful reasons for the same. It can be beneficial while conducting phone interviews or in receiving complicated instructions which would be difficult to note down or when one would prefer storing an intimate moment of some personal event, on their phone. Majority of developers are looking for technical debt, when they are associated with the engineering department. The front office members are always in lookout for work, directly with the traders and exposed in real time for covering their software needs. While planning to sit with traders, you can check on immediate impact of recent forms of feature additions. The feedback loop seems to be quite tight. In the past, the engineers have come to work and received feature request early in trading session. It further works with change in code, deployed to production level and seen profits as part of same trading day. During such environment, you might think about caring more on the added features than what you need to do for creating that elegant software. You cannot even ignore the quality of your code, mainly because of its impact on current delivery speed. You will always come handy with constant form of internal personal struggle, which is associated in between keeping quality alive and delivering features at level, which can enable high speed delivery service. The technical debt seems to be quite visible and reminders are given to ensure that you get the chance to address technical debt in future without fail. You cannot deny the importance of reminders in place of technical debt. As mentioned already, these reminders are designed to help to remind you of the technical debt to be solved in future. There are same reminders, used for prioritizing technical debt payoff, which can be quite beneficial for the team. The traders are quite aware of the value associated with technical debt. It is during such instances that you need to get some questions answered first. Do you have to spend more time while paying down technical debt? Get the answer to your question first before coming to concluding point. Working in such an environment where traders are able to learn more about technical debt and know ways to pay it off is really great. However, this might give rise to some issues, which are part and parcel of technical debt. If you want to know more about the issues, then it is mandatory to visit here and get yourself the needful details. Remember that not all bad codes are technical debt. It can even be un-hedged call option. So, it is important to know more about the types first before you get to learn more about it. While going through the types, you might have an idea of selling call option. It is quite a great metaphor, but the problem lies somewhere else. Can selling a call option work well in average workplace? This is the point for you to focus at before you harp on working on the call options. This is going to act in your favor and present you with long lasting response. Just be sure of the consequences and everything else before you get down to the solutions now over here. Aston Martin and F1 team Red Bull Racing had revealed their innovative hypercar dubbed AM-RB 001 in July 2016. At the Geneva Motor show, the real name of the car had been eventually disclosed to the world - `The Aston Martin Valkyrie’. 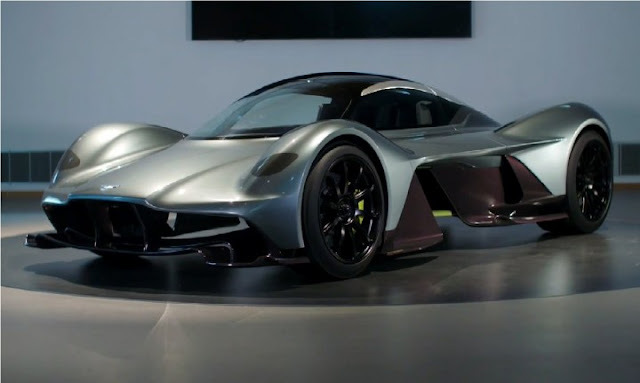 It comes charged with crafting a road car built exceptional invention partnership with Red Bull and Aston Martin wherein the collaboration had designed a car similar to which has not been seen till now. The designer Marek Reichaman of Aston Martin and Adrian of Red Bull Racing have been working together on all aspects of the project striving to make sure that the care is totally useable as well as enjoyable as a road car though with the potential of performing like no other road car on a race track. For those interested in driving experience, a track-only version is in progress and the probable performance is in line with the prevailing LMP1 Le Mans sports prototypes. Valkyrie tends to continue the tradition of `V’ cars of Aston Martin that had started in 1951 with the Vantage and had been selected as a name to distinguish high performance variants of the present model, the DB2. It continued this lineage in the Virage, Vanquish and Vulcan. The Valkyrie, fabricated around a lightweight carbon fibre structure tends to have thorough aerodynamics which is said to deliver unique stages of down-force in a road-legal car wherein most of the down-force has been produced through the underfloor aerodynamics. The same had been constructed by David King together with his team for purpose-built facility developed for the original hypercar, the One-77 of Aston Martins. The Valkyrie is said to be a hybrid, a reunion of a 6.5-litre V 12 with a type of electric powertrain developing more than 1,000 horsepower. There is a bespoke seven-speed paddle-shift transmission coupled to the all-new engine. It has been designed and manufactured to the specifications of Ricardoto Red Bull Advanced Technologies, where the gearbox would be an appropriate partner to Cosworth’s V12 engine. Besides assigning the ultimate road-legal car, the Valkyrie also tends to boast of a lightweight hybrid battery system provided by Rimac. The Croatian company, recognized as the world leaders in high performance battery technology, has also showcased its competences with the innovative Concept-One which is said to be the first and the fastest electric hypercar in the world. Comprising of a power-to-weight ratio of 1:1 – 1 horsepower for each kilogram of kerbweight, the AM-RB 001 needs a braking system which tends to be more than equal of its powertrain. Alcon and Surface Transforms, together tend to be responsible in supplying the lightweight, high performance brake calipers together with carbon discs required in delivering the stopping power. Electronic experts, Bosch, Transmission Control Unit –TCU and Electronic Stability Programme – ESP has been entrusted with developing bespoke engine Control Unit – ECU, to permit maximum efficiency, performance together with dynamic control while UK light manufacturer, Wipac is in charge for the full LED headlamps and tail lamps of the hypercar. Around 150 road-legal Aston Martin Valkyries would be constructed inclusive of all outstanding models with an additional track-only versions of 25, have been planned. The first deliveries are scheduled to begin in 2019. Hacking a bank is not different from the out-dated means of raiding it and hackers can get in and out with the goods quite easily. However a particular enterprising team of hackers aiming a Brazilian bank seemed to take a much more inclusive and a scheming method of operation. On a certain weekend afternoon, they had rerouted all the online customers of the bank to effortlessly reconstructed fakes of the bank’s properties wherein the marks offered over their information of the accounts. The researchers at Kapersky the security firm had defined an extraordinary incident of wholesale bank fraud, which had basically hijacked the complete internet footprint of the bank. Last year, on October 22 at 1 pm, the researchers had stated that the hackers had altered the Domain Name System registration of all 36 online properties of the bank, taking the desktop and mobile website domains of the bank to take users to phishing site. That meant that the hackers had the potential of stealing login credentials at the sites which had been hosted at the legitimate web addresses of the bank. The researchers of Kaspersky were of the belief that the hackers could have also simultaneously redirected most of the transactions at ATMs or point-of-sale systems to their own servers, gathering the details of the credit card of anyone who utilised their card on that Saturday afternoon. One of the researchers of Kaspersky, Dmitry Bestuzhey, who had analysed that attack in real time on seeing malware infecting customers from what seemed to be the fully valid domain of the bank, had stated that absolutely all of the bank’s online operations had been under the control of the attackers for five to six hours. From the point of view from the hackers, according to Bestuzhey, the DNS attack meant that `you become the bank and everything belongs to you now’. Kaspersky has not revealed the name of the bank which had been targeted in the DNS redirect attack. He has stated that it seems to be a major Brazilian financial company with hundreds of branches, operations in the US and the Cayman Islands, with 5 million customers and over $27 billion in assets. Though Kaspersky is not aware of the full extent of the damage caused due to the takeover, it should be a warning to banks all over to consider how the insecurity of their DNS would support a nightmarish loss of control of their core digital assets. Bestuzhev had commented that they have never seen it exploited in the wild on such a big scale. The Domain Name System – DNS tends to serve as a vital decorum running under the cover of the internet and translates domain names in alphanumeric characters such as Google.com, to the IP addresses such as 74.125.236.195, which tends to represent the definite locations of the computers hosting websites or other services related on those machines. However attacking the records could take the sites down or redirect them to a destination of a hackers’ choice. For instance, in 2013, the Syrian electronic Army groups of hacker had changed the DNS registration of The New York Times in redirecting visitors to a page with their logo. Recently, the Mirai Botnet attack on the DNS provider Dyn had cracked a main portion of the web offline inclusive of Amazon, Reddit and Twitter. However the attackers of Brazilian bank had subjugated their victim’s DNS in a much more directed and profit-driven manner. Kaspersky was of the belief that the hackers compromised the account of the bank at Registro.br which is the domain registration service of NIC.br, the registrar for the sites ending in the Brazilian .br top-level domain which is said that it also manages the DNS for the bank. The researchers are of the opinion that with that access, the hackers had been capable of changing the registrar at the same time for all the domains of the bank, redirecting them to servers which the attackers had set up on the Cloud Platform of Google. With the hijacking of the domain, those visiting the website URL of the bank were redirected to the duplicate sites where those sites also had valid HTTPS certificates issued in the name of the bank. Hence those visitors’ browsers portrayed a green lock together with the name of the bank like they would in the real sites. Kaspersky also observed that the certificates was provided six months earlier by Let’s Encrypt, the non-profit certificate authority which makes obtaining an HTTPS certificate easy in case of increasing HTTPS acceptance. Josh Aas, founder of Let’s Encrypt had stated that `if an entity had gained control of DNS and had gained effective control over a domain, there could be a possibility for that entity to get a certificate from them. Such issuance would not constitute mis-issuance on their part since the entity receiving the certificate would have been able to properly demonstrate control over the domain’. Eventually the hijack had been so thorough that the bank was unable to even send email. Bestuzhev stated that they could not even communicate with the customers to send them an alert and if your DNS is in control of the cybercriminals, you are basically screwed’. 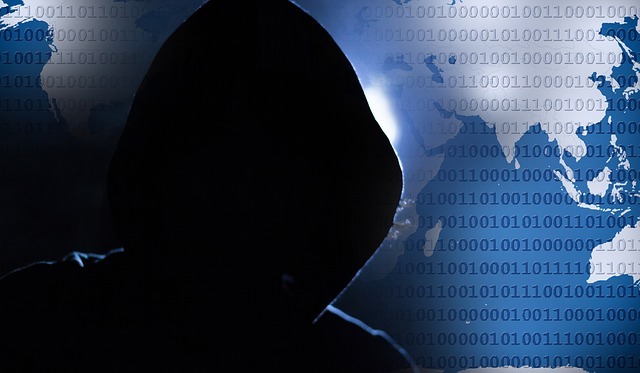 Besides phishing, the hoaxed sites also infected victims with malware download which had disguised itself as an update to the Trusteer browser security plug-in which the Brazilian bank provided the customers. As per the analysis of Kaspersky the malware gathers not only banking logins from the Brazilian banks but also eight others as well as email and FTP credentials together with contact lists from Outlook and Exchange. All of these had gone to command-and-control server hosted in Canada. The Trojan also comprised of an operation intended to disable antivirus software for infected victim, and could have persisted much beyond the five hour window when the attack had taken place. The malware had scraps of Portuguese language, implying that the attackers could have been Brazilian. Bestuzhev of Kaspersky debates that for the banks the incident could have been a clear warning to check on the security of their DNS. He notes that half of the top 20 banks ranked by total assets do not manage their DNS but tend to leave it in the hands of a potentially hackable third party and irrespective of who tends to control the DNS of a bank they can take special precautions in preventing their DNS registrations from being changed without safety checks such as `registry lock’, which some registrars tend to provide together with two-factor authentication making it difficult for hackers to change them. 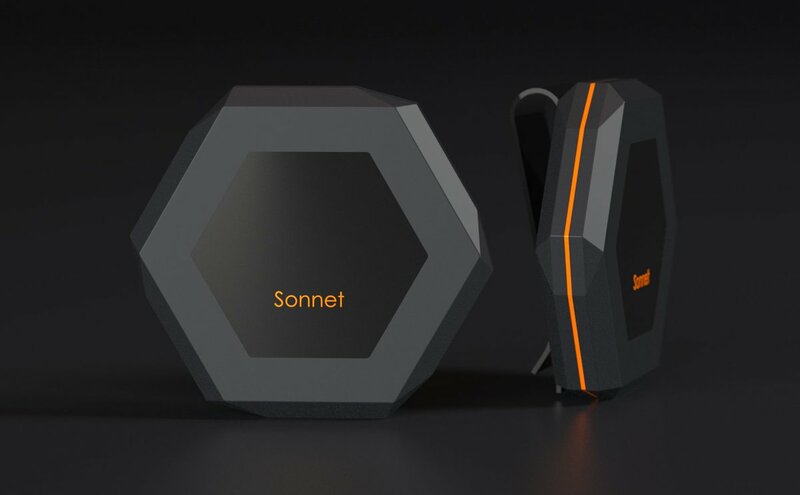 Sonnet which is an off-grid hexagon tends to connect to your phone providing the potential of sending messages or even maps without the need of a cellular or satellite signals. It is the most advanced off-grid Mobile Mesh network and is like a walkie-talkie for your phone. Sonnet being an Off-the-Grid communication device enables the user to utilise their smartphone as a super advanced walkie-talkie which has the possibility of sending super advanced walkie-talkie that can send instant message, image data, voice recording as well as GPS Coordinates in the absence of cellular coverage’s and internet access. Public messages to any users of Sonnet within the range. Sonnet App tends to run directly in the browser of the smartphone and hence one need not download or install any app. Sonnet is entirely off-the-grid and functions independently of any network infrastructure which means that Sonnet enables the user to remain in touch with friends and colleagues irrespective of where they may be. The usual point-to-point range between two devices of Sonnet is 5 km, around 3 miles. This range could be up to 15 km in case of a line-of-sight such as when the sender and the receiver seem to be on top of two mountains. Besides this, Sonnet is equipped with a SMA connector wherein one can connect their own directional antenna for the purpose of increasing the point-to-point range much further. The mesh network of Sonnet tends to intensively increase the effective range further than the point-to-point range by relaying the data via the other devices. The data can be relayed by Sonnet up to 16 times in achieving a maximum range of 80 km. To use Sonnet there is no need of a subscription fee and one can send as many messages as one desires. If one device tends to have internet connection, the entire network can then have access to it. If Sonnet is placed in a car or base where there is availability of internet, then one can have access to the internet in the backcountry by being in possession of another Sonnet. The Sonnet App had an offline map wherein one can get directions and view points of interest without the internet connection. In an event of emergency, the app which has a panic button comes in handy. You could long press the button for five seconds to activate the SOS mode, broadcast your prevailing GPS location and your distress message is conveyed to all Sonnet users within range. Being equipped with a 4000 mAh lithium polymer battery, it comes with a USB port and hence one can charge your smartphone with it. Sonnet tends to charge fully most of the smartphones on the market. Sonnet is said to have a rugged design making it compatible for the purpose of out-door use and is rated IP66 meaning that it is dust and water resistant. This enables the user to bring the Sonnet along no matter where one may intend to travel. Sonnet is secure and all communications done with Sonnet are said to be end-to-end encrypted with AES -256-bit. Moreover, Wi-Fi link between Sonnet and the smartphone are said to be secure with WPA/WPA2.